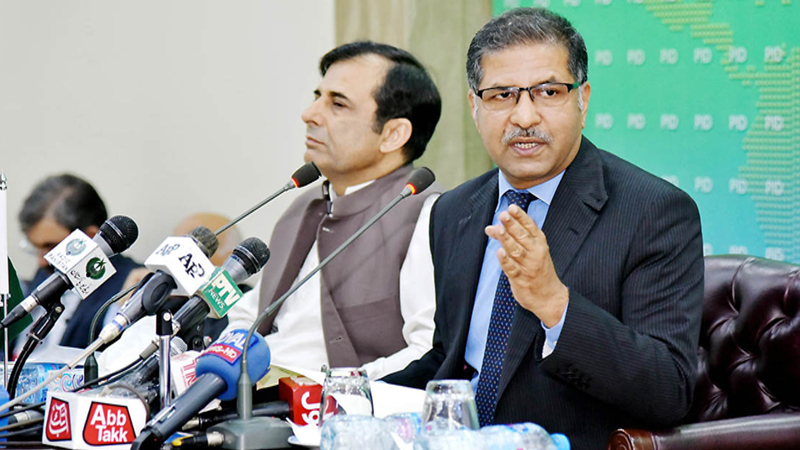 ISLAMABAD: Federal Minister for Water Resources Syed Ail Zafar on Monday said that Pakistan was facing water scarcity and time had come to take drastic measures and build new dams and water reservoirs. Addressing a press conference, he said it was a good omen that now there was growing realisation about the importance of the water issue in the country. He said that during the past two months, consultations were held with experts and measures were suggested for overcoming water shortage in the country. Zafar said the caretaker government had prepared guidelines for the next government to address water scarcity. Ali Zafar said that Pakistan was a lower riparian country where water came from other countries and due to that phenomenon, the Indus Waters Treaty was signed in the 1960s under which India had the right to use water of three eastern rivers, while Pakistan had the right to utilize water of three western rivers flowing from India to Pakistan. He said India built dams and set up water reservoirs, but unfortunately Pakistan could only build two dams instead of the proposed seven or eight dams and no major progress could be achieved on building of water reservoirs. He said that Pakistan had the quota of 138 million acre-feet (MAF) water but the two dams could only store upto 13.1 MAF water and their capacity was further reducing due to siltation. Out of the 138 MAF water of Pakistan, only 13.1 MAF was stored and some water was used for irrigation while the rest was wasted in oceans. He said that in the past consensus could not be developed on Kalabagh Dam, but it was beyond comprehension as to why other reservoirs were not built by successive governments. He said that Pakistan was already facing water scarcity and climate change could also have a negative impact on water reservoirs. Moreover, high flow of in rivers lasted only for a few months, so it was vital to have dams to store that water, he added. He said that the world over hydel power was the cheapest source of power generation and about 30 to 40 per cent electricity was generated from water, but in Pakistan that the ratio stood at only 27 percent. He said that over 90 percent of water in Pakistan was used for irrigation purposes, out of which about 48 per cent was wasted as brick lining of canals had not been done in so far. If lining of canals was done the country could save 6.5 MAF water per annum, but in the past this area also remained neglected, he added. He said that Pakistan was still using centuries-old techniques of watering the fields while the world had moved forward and adopted latest techniques. The minister said developed countries spent 20 to 30 percent of their budget on water while Pakistan had been spending only 3 to 7 per cent and there was need of drastic increase in budgetary allocations for that sector. He said that India had violated the Indus Water Treaty and built Kishen Ganga Dam and it had also planned another dam to usurp Pakistan’s share of water. He said that Pakistan should contest this case and ask the World Bank to form an arbitration commission to resolve the matter. Among the proposals to overcome water crisis, he said it was suggested that consensus should be built on Kalabagh Dam’s construction. He said the construction work of Diamer-Bhasha and Mohmand dams should start and indigenous resources should be used for their construction, while commercial loans could be obtained for power generation. He said that 400 to 500 small dams should be built on emergency basis and up to 20 per cent of the budget should be allocated for water. Moreover, brick lining of canals should be done to save 6.5 MAF water per year. There was a need to introduce modern irrigation system in the country to save water, educate, equip and provide farmers financial assistance to achieve that goal, he said, adding that other proposals included regulation of tube wells, standardised equipment to gauge water for reducing confusion among provinces over division of water, water treatment plants and system for preservation of rainwater. Replying to media persons’ questions, Ali Zafar said that although there was a great challenge in convincing the World Bank to establish court of arbitration regarding Indus Waters Treaty, Pakistan could utilise its influence by engaging international community in its favour. He said since canal system was the prerogative of the provinces therefore, under the new National Water Policy, the new government would ask the provinces to allocate sufficient funds for brick lining of the canal system across the country. Regarding electricity production, Secretary Water Resources Shamail Ahmed Khawaja informed that as of today, total hydro electricity production was recorded at 7000 MW out of total installed capacity of 9,383 MW. Published in Daily Times, August 7th 2018.